Pick Analysis: The Gators collectively held their breath in October 2016, as Davis was taken off the field with a left leg injury. He attempted to play through that injury, but suffered another a couple of weeks later and had to sit out three games and most of a fourth. League coaches appreciated his leadership and production (60 tackles, six for loss, four pass breakups) enough to vote him second-team All-SEC, however. Davis built a reputation in his first three years, stepping in right away as a true freshman to play in every game (one start, 24 tackles, two for loss) and earn the team's Most Valuable Player on special teams. He was a key reserve in 2014, as well, before missing the last three games with an injury (23 tackles, one for loss.) Finally getting a chance to start as a junior, Davis didn't disappoint with 98 tackles, 11 for loss, 3.5 sacks and four pass breakups. Published: April 27, 2017 at 11:05 p.m. The Detroit Lions select Florida linebacker Jarrad Davis No. 21 overall in the 2017 NFL Draft. Published: April 27, 2017 at 10:46 p.m.
NFL Media's Matt Smith, Bucky Brooks, and Lance Zierlein give Jarrad Davis a B+ draft grade. Published: April 12, 2017 at 08:33 p.m.
Everything you need to know about Florida linebacker Jarrad Davis. 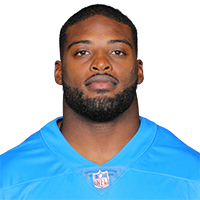 Published: March 5, 2017 at 03:40 p.m.
Florida linebacker Jarrad Davis joins "NFL Now Live" to talk about his combine experience.